Already available on export models. 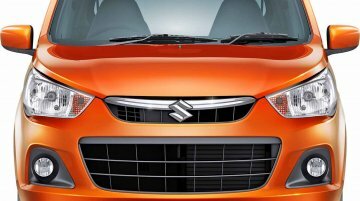 A report on the Economic Times states that Maruti Suzuki is working on adding safety packs on its entry-level models like the Maruti Alto 800 and Alto K10. A..
AMT currently available only on Celerio and Alto K10. 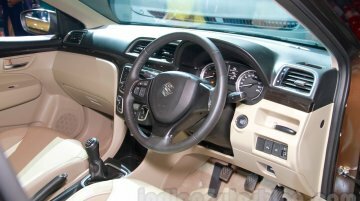 Maruti Suzuki announced today that the sale of Auto Gear Shift vehicles from its repertoire has crossed the 50,000 units mark. 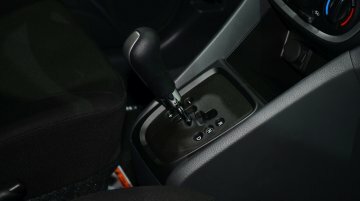 Auto Gear Shift .. The Tata GenX Nano AMT has officially taken over the crown from the Maruti Alto K10 AMT as the 'most affordable automatic car' in the country. 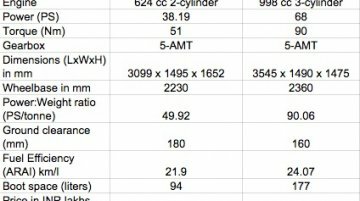 Below is a spec-sheet comparo of these.. Engines are identical to the Indian model. 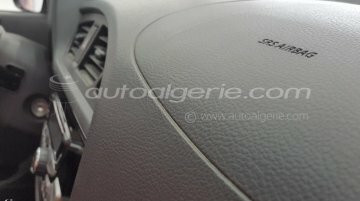 Elsecom Automobiles, official dealer of Suzuki cars in Algeria, presented three new cars at the ongoing Algerian Auto Show – Alto 800, Alto K10, and the..
ABS and dual airbags a first on the Alto. Elsecom Automobile, the distributor for Suzuki cars in Algeria, has shown the new Maruti Alto K10 and an updated Maruti Alto 800 in Algeria. Both cars.. Valid till 10 years or 1.6 lakh km, whichever earlier. 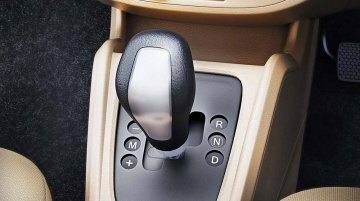 Maruti Suzuki is offering a huge warranty on the automated manual transmission (AMT) unit found on the Maruti Alto K10 and the Celerio. Added.. Follows the Celerio into the mountain nation. Maruti Suzuki will commence the export of the new Maruti Alto K10 and Maruti Ciaz to Nepal from next year, Gopi Neupane, General Secretary of CG.. 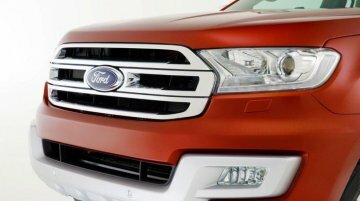 Here's is part two of our roundup of the most important events from the automotive industry last week. Click on the image to go to the respective story. 1. Mercedes G-Code rendering The "From..
Celerio's waiting period reduces. Buyers wanting to purchase the most affordable automatic car in India, the new Maruti Alto K10 AMT, will need to wait at least 2 months for delivery, a dealership..
Entry-level cars clearly embrace this technology. 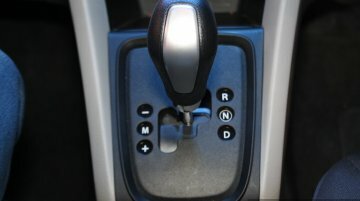 The automated manual transmission (AMT) had its debut in passenger cars in India this year. Maruti's Celerio, launched at the Auto Expo, became th..
Development time took 33 months. 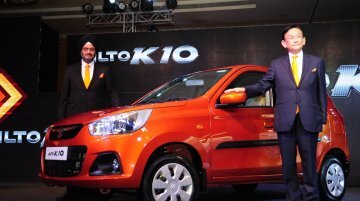 Maruti-Suzuki launched the new Alto K10 on November 3, with prices ranging from INR 3.06 lakhs to INR 3.81 lakhs, ex-Showroom, New Delhi. Here are the features and specifications of the 2015 Maruti Alto K10 which was launched today. 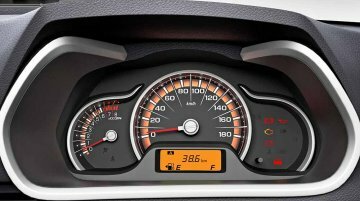 Dimensions: Length: 3,545 mm Width: 1,490 mm Height: 1,475 mm Wheelbase: 2,360 mm Ground..
Maruti-Suzuki launched the new Maruti Alto K10 today, which gets updated exterior and interior, and not to mention, the convenience of the automated manual transmission (AMT). 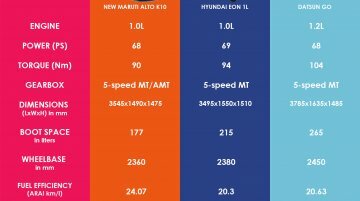 Here's how the Alto..
Maruti-Suzuki today launched the new Maruti Alto K10, with prices starting at INR 3.06 lakhs, ex-Showroom, New Delhi. The detailed variant wise prices are provided below. A CNG variant will also be offered for the first time on the K10. Maruti-Suzuki will launch the new Alto K10 today in New Delhi and Mumbai. Bookings are underway for the second generation 1L engined hatch. 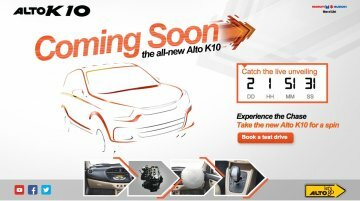 Maruti-Suzuki have started teasing the new Maruti Alto K10 on a microsite. The small car launches on November 3, although bookings.. 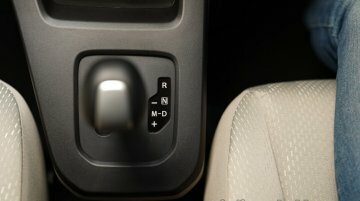 The top-end K10 will get a driver-side airbag as standard. 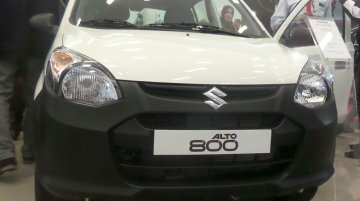 Maruti-Suzuki have announced that the new Maruti Alto K10 will launch on November 3 in New Delhi. 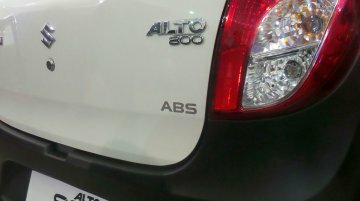 Based on the Alto 800's body, the second..